Although a very rainy morning, the weather cleared in time for John and Sara’s afternoon portrait session. Edward Gardens was magical — from mature weeping willows blowing gently in the breeze to bright florals at every turn. My favourite spot in the garden was a tropical array in the centre of the park that served as the perfect backdrop for family portraits. While not pictured here, the height and generous “pops” of foliage reminded me of the Amazon jungle, and certainly stood out from other areas of the park. As for the image above…well, it is one of my favourites. There is nothing more beautiful than a bride and a willow grove. 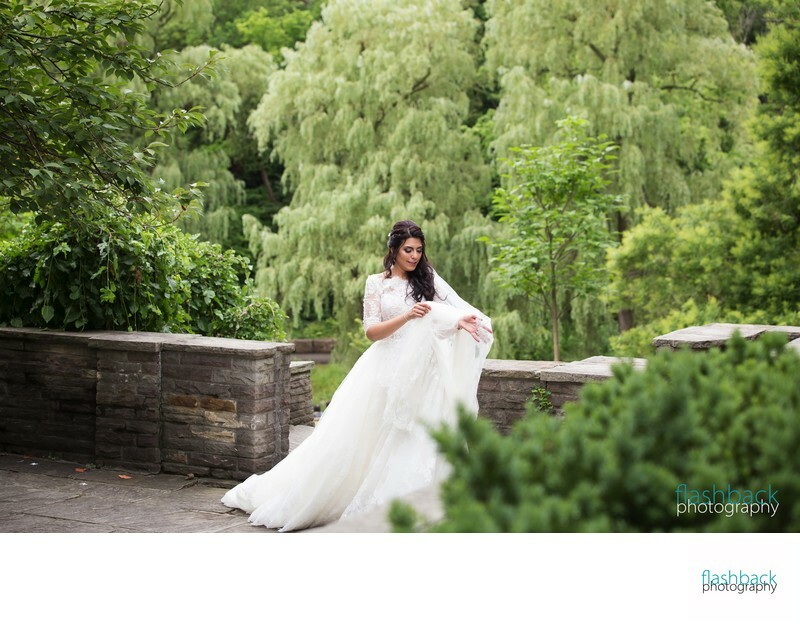 I love the soft tenderness with which Sara handled her gown; she was the picture of elegance.